In the Western world, the #TreeOfLife has been a metaphor, famously used by Charles Darwin’s On the Origin of Species to depict the relationships between both living and extinct organisms and the context of his theory of evolution. Here in #Borneo, the art depictions for the tree of life has long been associated with Orang Ulu culture. 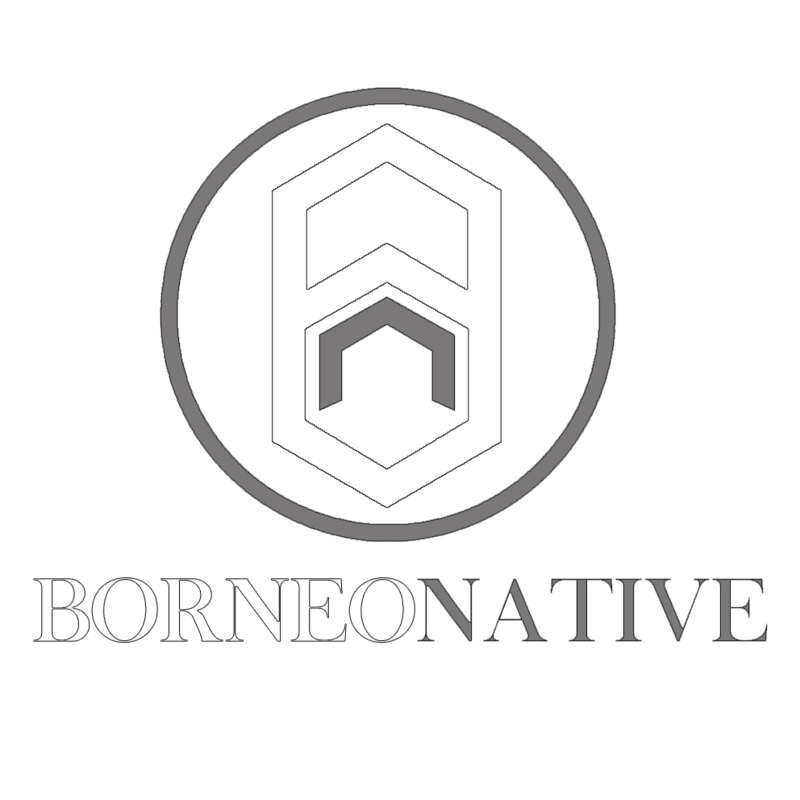 Sarawak’s is a homeland of most artistic tribes which included the various Orang Ulu groups share many aspects of culture and custom. They build ornate and imposing longhouses decorated with exquisite woodcarvings and bizarre “tree of life” paintings. Kayo’ Urip’, which literally translated, means tree of life or #PohonBudi is a fast growing plant where the leaves are used for wrapping rice and fruit used as bait for catching mouse deer. Although there are many different versions of folklore told among the Orang Ulu's tribe, generally the Kayo’ Urip which is actually referring to Kayo’ Aya’ is where life on earth begins; the first human being, the first wild animals, the first insects and also the first pig and chicken. Kayo’ Aya’ originated in the spiritual world and it is the origin of life in the physical world. Borneo Tree Of Life painting on the wall of traditional longhouse had been considered a disappearing art but the coming of #BORNEON has helped to revive the tradition, in our own unique ways... preserved and promote the culture and heritage so the old beliefs and traditions will still live on. 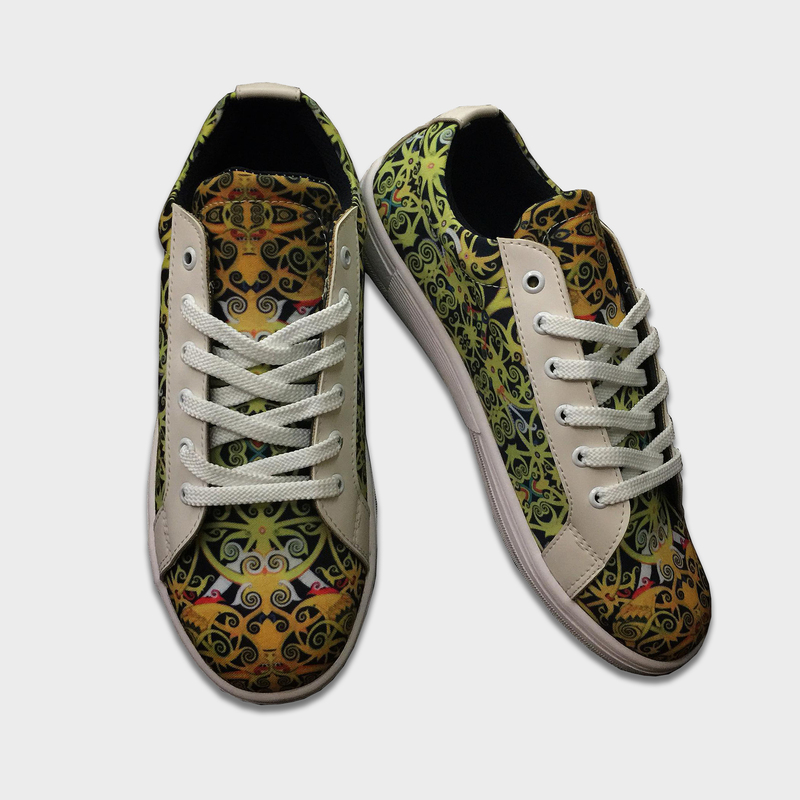 Thus, inspired by the Kayo' Aya', plus the Iban's concept of "Bejalai", we designed and crafted this BTOF Lace Up Sneakers with an he Idea is that... no matter how far have you go, you'll always remembering your root, your culture, and your haritage.